Home Business Who Is A Successful Leader? 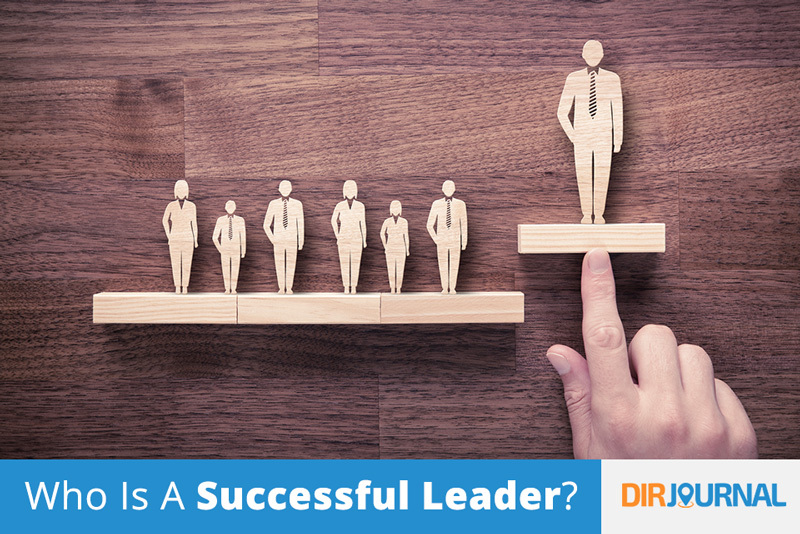 Who Is A Successful Leader? Who is a good leader according to you? What are the qualities that make a good leader stand out in the crowd and mesmerize you with finesse in everything he or she does? Is it enough to have a dynamic personality and be able to stand out in the crowd or handle situations most efficiently? Is it enough to have good management skills and effective listening ability? They are of the opinion that while all these qualities are needed for a leader; it is the feeling of empathy towards colleagues and employees that makes a successful leader, and ultimately leads the company towards success. Many of us hate our boss even if that person has the capacity to handle things most efficiently. There is a reason behind that. Simply handling the responsibilities efficiently does not make an effective leader. Leadership is a skill that very few people can claim to possess. Let’s see what empathy actually means. Empathy is the ability to understand other people’s feelings and their needs. A business where empathy is widespread is always successful. There are companies that see empathy as a form of weakness. This is evident in the example of Albert John Dunlap, who enjoyed the title of “Chainsaw Al,” that was given to him as he would not think twice before firing any number of employees. Although, he was initially thought to be the perfect CEO, eventually he was found guilty of fraud. This shows that such people with a cold heart can also be selfish and short sighted. Effective leaders are people who can take tough decisions when situations warrant, but they also have the heart to communicate with employees on a personal level and understand what is going on inside them. In a bad situation, it is the quality of empathy that distinguishes a good leader from a great leader. Today, empathy has been recognized as a must-have attribute for a leader in order to be successful and also help an organization achieve its vision. Can this quality be developed? To ensure an organization adopts widespread empathy, it is essential to leave the office and get outside. Go to places where people are most likely to be themselves. It is also important to be genuinely concerned and interested in people. Pretences are not going to last long and will not serve the purpose. Forget about who you are and what you do. Start caring about others. Finally, ensure you bring evidences of the outside world into the office. – Listen to people: Pay attention not just to their words, but the hidden emotions behind what they are saying. Do not interrupt people and make sure not to dismiss their concerns without listening to them first. – Focus on the body language: The body language of people often communicates more than their words. It tells you what they are feeling or thinking, even if they are saying something different. – Be present: When you are in conversation with someone, don’t do anything else. It is not right to check your mail or look at your watch or even attend a phone call. Allow them to have their moment with you. – Smile from your heart: This has always been said to work wonders. It makes people comfortable with you and gives them the ability to get rid of any apprehensions they may have. Gone are the days when cold bloodedness was considered to be a quality desired in a CEO or a senior executive. People have changed, their thinking has changed and they no longer want to have a boss who is a cane-whipping monster. They would rather have someone who understands them. Experts opine that even if a person has all the excellent qualities of a smart executive, if there is lack of empathy, the journey towards success is going to be short lived. Put yourself in their shoes and see how success comes after you. Are you an effective leader in the right sense of the word? Are You Making These Exercising Mistakes? I agree..leaders are people person.. I duly agree with the points above. A leader who lacks empathy as a quality is not at all fit for leadership. Also, a leader is one with the ability to command not compel response. leaders have to be trust worthy and also lead by example. however, a good leader motivates people. What if in the course of showing concern, understanding and sympathy to your employees or subordinate, and they take you for granted? or start misbehaving just because it is obvious that you care for them? What can one do in this circumstance? Please i need an answer to this. Yours is a good question. The leader with empathy does not mean that he will show unlimited empathy to his people. For leaders, the level of tolerance / patience should be more than others but defenitely not endless. So, answer to your question is that the leader should take stiff action against poeple who cross the limits and go against the ethics & integrity in the organisation. Virus is virus, it should be cleaned up from the system before it damages the entire system. Empathy is very good for effective leadership.Also,Leaders should know that,they must stand for what is rigth even if they are standing along,and people must see reasons with them. your message is inspiring and educating,please help with more updates. i believe that a leader is one who knows and understand that people have different personalities. this will help him/her to appreciate the different things done by others no matter ho weired or small it may be!! i do also believe that all good leaders are themselves no matter which situations they may be in!! Does anybody know who are the successful leaders in the world? This is so comprehensive though short, but it drives home the point on who a successful leader is, i like it, thank you. A leader is a servant of the servants, a foresighted someone, highlevel of good judgement and must be christ-like.